Hello! 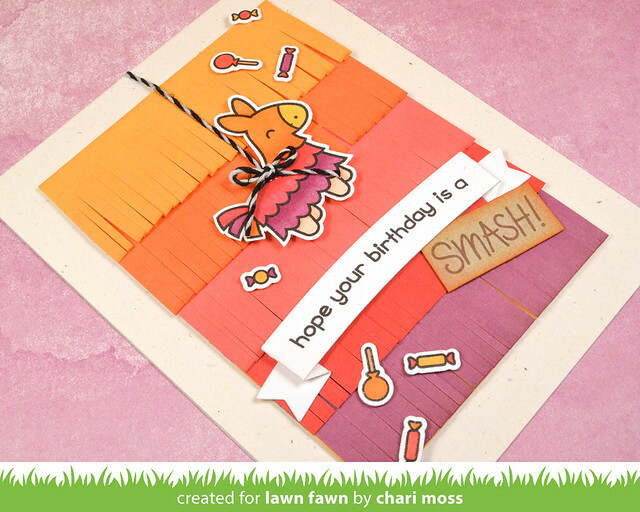 Lawn Fawn April Inspiration week continues today with Year Seven. This little piñata is so fun! I created a fun fringe background to mimic the look of a piñata by inking white cardstock with the colors of ink I wanted to match with my coloring. Then I used fringe scissors to cut the paper and create this fun look. I layered my cut strips onto a rectangle mat and mounted it onto a card base. I colored my piñata to match the ink colors then hung him from the top of the card with some black licorice twine. For the sentiment I used one of the Fancy Folded banners and then finished it off by sprinkling the die cut candy pieces around the card. Be sure to check out the Lawn Fawn Blog for more Year Seven projects today! 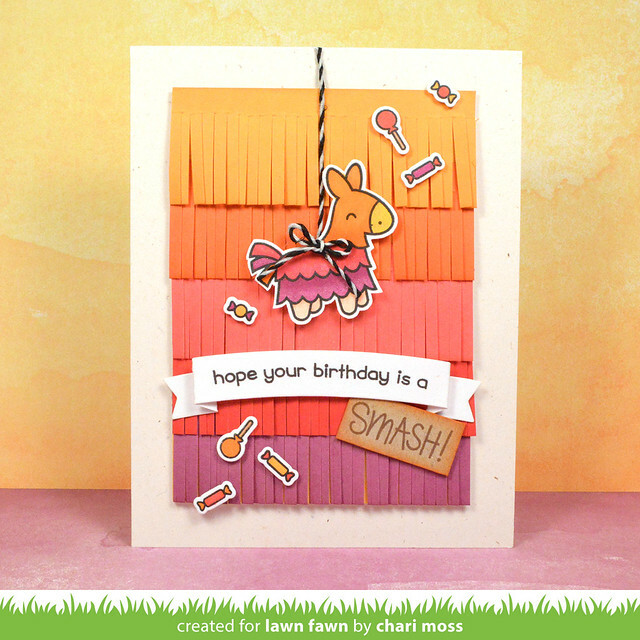 I so love the layering behind your card! WOW! so beautiful!